It’s that time of the year again, when magic is in the air, and love and joy are everywhere. Christmas is that time of year when families get closer and love is shown through small gestures. Christmas markets, are one of the best ways to show holiday cheer. If you don’t know where to take your significant other to experience these wonderful and magical moments, maybe you should consider one of the top destinations in Europe for the Advent season: Vienna, Brussels, Prague and the three-time winner: Zagreb, Croatia. Clearly, there is a myriad of competition– but only one can be at the top and earn the title of “The best Christmas market in Europe 2019”. It will be difficult to overcome the reigning champion and three-time winner, Zagreb, Croatia. This city decidedly has the best Christmas market in Europe, involving the entire city from one end to the other. Amazingly, the Christmas market keeps growing with the years and now incorporates the zoo and various residential neighbourhoods into its festivities, and has also opened a Christmas cinema —all cloaked in this magical atmosphere. Although this year Zagreb will not be allowed to compete, it is still one of the best places to visit during the holidays. 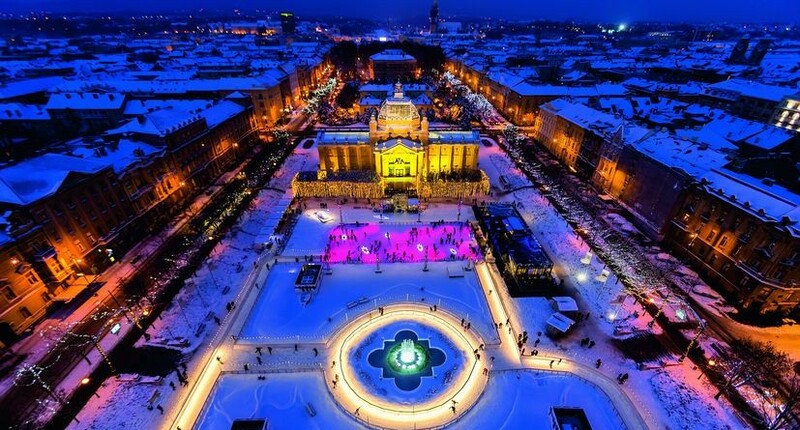 This holiday season, Advent in Zagreb is held from the 1st of December 2018 to the 6th of January 2019. All these cities are beautiful and magical in their own way, and not every destination is for everyone. For this very reason, you should go and find your favorite place, and share this wonderful moment with someone you love. So get traveling and see the magnificence these markets behold.